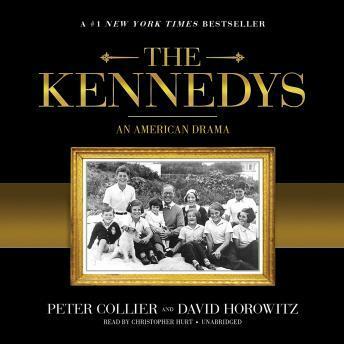 Listen to "The Kennedys: An American Drama" on your iOS and Android device. Who are the Kennedys? Are they the brilliant, heroic, extraordinary people their admirers believe them to be? Or are they arrogant, competitive, self-absorbed children of a willful and immensely rich patriarch, as their detractors claim? In fact, they are all of these things, and more. Years in the making, based on hundreds of interviews with family members and associates and extensive research into archives and sources unused until now, this is the nationwide best&apos;seller whose very publication caused an uproar in the press. The first and only book to fully penetrate the Kennedy inner sanctum and reveal the true, all too human saga behind America&apos;s most famous family. Narration was fanatastic. I’ve always wanted to know more about the family, especially Joseph Kennedy, and this book was perfect for me. Easy to listen to without any unnecessary details to slow it down.